Walt डिज़्नी तस्वीरें - Princess Belle. The new look of Belle. HD Wallpaper and background images in the डिज़्नी प्रिन्सेस club tagged: disney princess beauty and the beast princess belle. ok. i officially hate this.why do her eyes look like that? and her hair is MUCH too long! 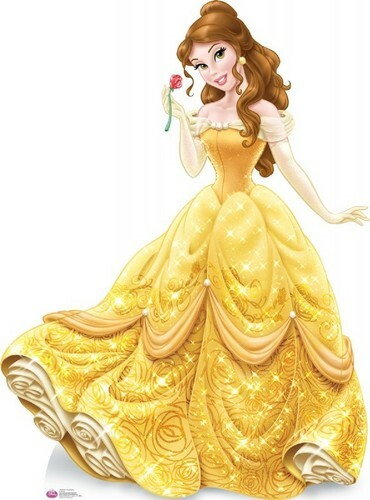 @ Disneygirl423, Belle's hair is not too long it's just looser, and all she did to her dress was make her collar, sash and gloves transparent. She can't have it in a high bun/pony thing all the time, i think the bun with the flowing thing is nice. There isn't anything that's really new here...and her hair was best as it was in the first movie.